2. Register and complete your profile details. 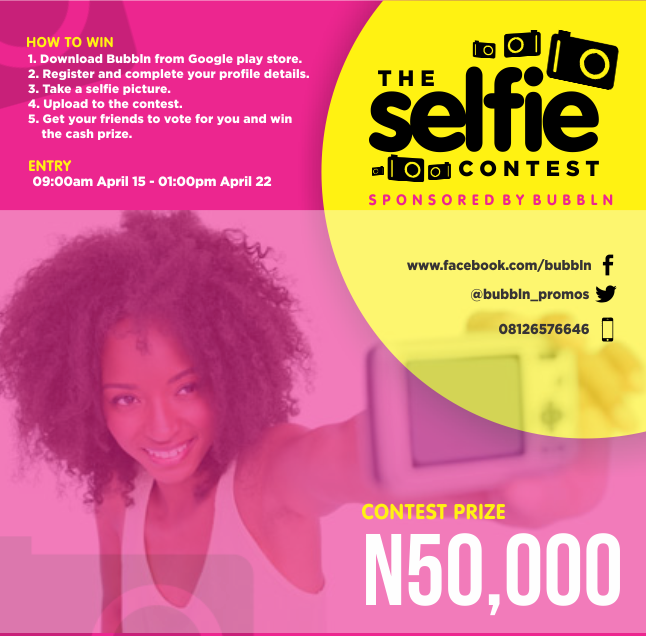 Moreover,N1000 Recharge card awaits the first 5 contestants and N500 Recharge card for the 6th to 10th Contestants on The Selfie Contest. Don't Wait to be told. Experience the fun yourself. Contest Runs from 15th April to 22nd April, 2015.